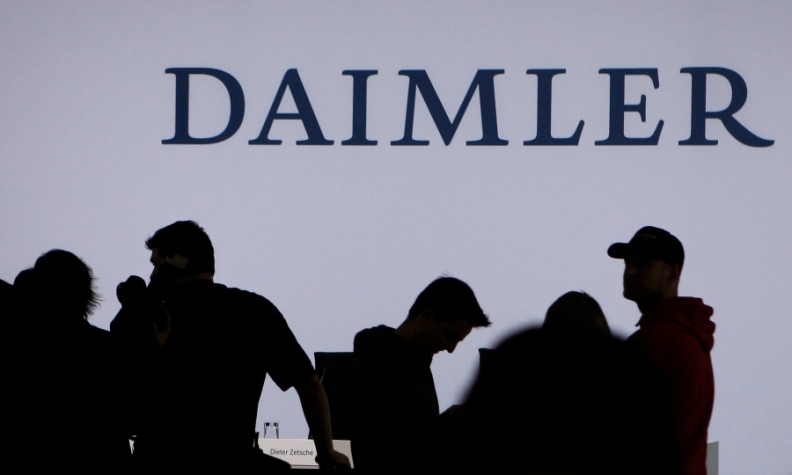 WASHINGTON (Bloomberg) -- The U.S. Supreme Court has thrown out a case against Daimler over its Mercedes-Benz unit's alleged collaboration in torture and killings in Argentina. The justices unanimously said the parent company didn't have enough ties to California to give courts there the authority to hear the case. Daimler's Argentine Mercedes-Benz unit was accused of collaborating with state security forces during the "Dirty War" from 1976 to 1983. Mercedes-Benz Argentina allegedly identified workers seen as union agitators, knowing security forces would then kidnap, torture and in some cases kill the people. The company denies the allegations. "The plaintiffs' accusations are groundless, and today's opinion concludes the prolonged litigation in the United States," Daimler said in an e-mailed statement. The company maintained that the courts in California lack "personal jurisdiction" over the automaker. Under that legal concept, a defendant doesn't have to face lawsuits in a state unless it has a certain minimum level of contact with the jurisdiction. The ruling adds to a line of Supreme Court decisions that have cut the options available to people trying to sue multinational corporations in American courts. Daimler was sued by a group of former employees and representatives of deceased workers. They argued that Daimler had sufficient contacts with California because of billions of dollars in sales through its Mercedes-Benz USA unit. Writing for the court, Justice Ruth Bader Ginsburg said Daimler's "slim contacts with the state hardly render it at home there." Ginsburg said the plaintiffs' reasoning would subject Daimler to court cases anywhere Mercedes-Benz had significant sales. "A corporation that operates in many places can scarcely be deemed at home in all of them," she wrote. Justice Sonia Sotomayor agreed with the result while saying Ginsburg went too far in shielding multinational corporations. "In recent years, Americans have grown accustomed to the concept of multinational corporations that are supposedly 'too big to fail,'" Sotomayor wrote. "Today, the court deems Daimler 'too big for general jurisdiction.'" The ruling was a limited one, said Robert Peck, president of the Washington-based Center for Constitutional Litigation, which represents plaintiffs in suits against corporations. He said Ginsburg didn't preclude plaintiffs from pressing a different theory, one that claims a subsidiary was acting as the parent company's legal agent. "It is fair to say that Justice Ginsburg has written a narrow opinion," Peck said in an e-mail. Andrew Pincus, a Washington lawyer who has argued for limits on suits against multinational corporations, said the court "rejected a legal standard that, if it had been upheld, would have transformed America's courts into global courts, hearing any claim arising anywhere in the world as long as the defendant was a large business." Last year, the Supreme Court scaled back a favorite legal tool of human-rights activists, the 1789 Alien Tort Statute. The majority said the Alien Tort Statute generally doesn't apply to conduct beyond U.S. borders. The people suing Daimler were invoking the Alien Tort Statute along with state and Argentine law in their suit.